In your second picture, the headmaster looks almost lonely. Buy more toys. @Middlefingerstudios YES, I would very much like that. How many of these figures I want though, that's a different story. @Ninjanicktf what exactly do you mean? Do you wish you could have some of the figures, or do you not want any of the figures? Yeah, I could have made this more clear. I want so many more TR figures, the one I want the most is probably Hotrod since I don't have any Hotrod. I have way too many of these. Like, WAY too many. 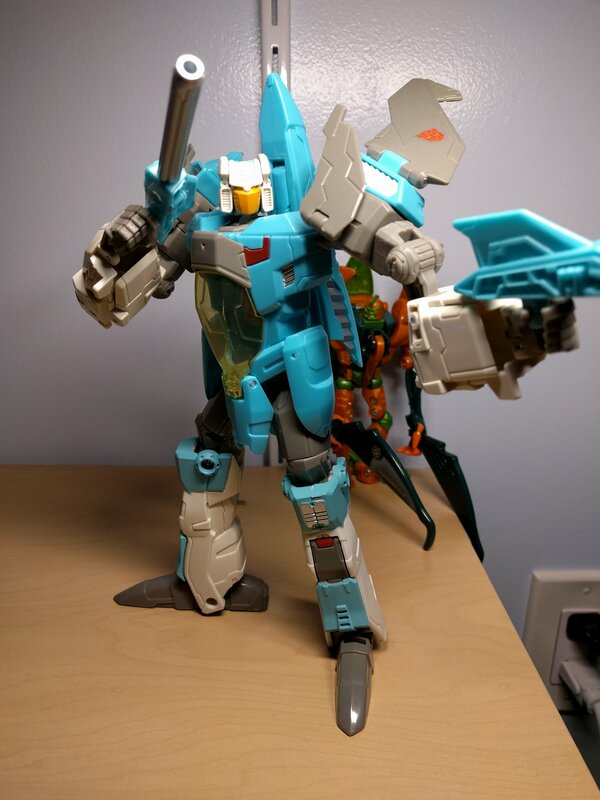 Also, all hail Walgreens Brainstorm. it still works fine. And it's not like I throw him around or anything, just transform him from time to time. It's starting to bother me a bit though so I'd thought to ask you guys what you think. 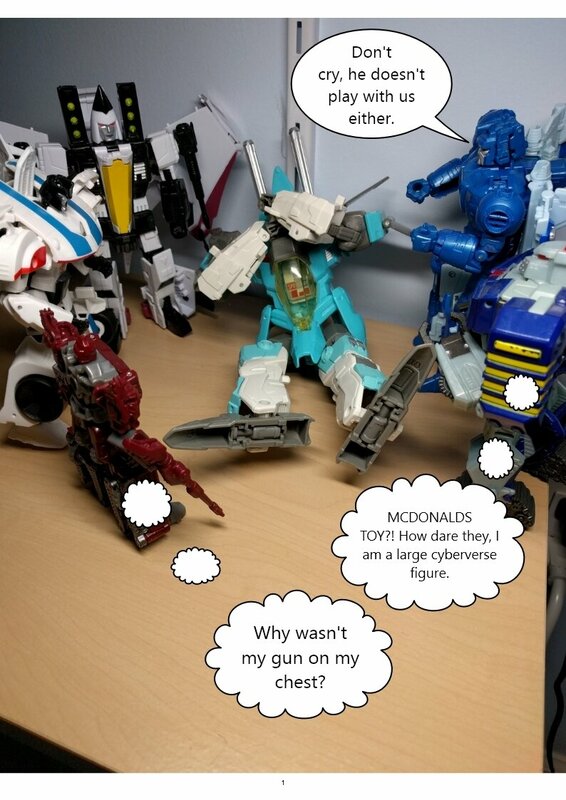 Honestly, not a fan of the generations Brainstorm. Greatly prefer the TR one. I spent way to much time on that. Lol it's shattered by this point. @Jal don't worry about it. The red plastic is somewhat soft and is enough to hold it on without the yellow. But- but- I have Scourge. @Jormad I don't think Scourge is bad. Actually I don't think any of my figures are "bad." Except maybe Ramjet. I just don't use them in as much stuff because they don't really fit with the rest of my figures. Ah. Anyways, so how about that Sixshot? Ah yes, Terminus Hexatron. Since that thing is WAY out of my price range, I'm getting the new one. 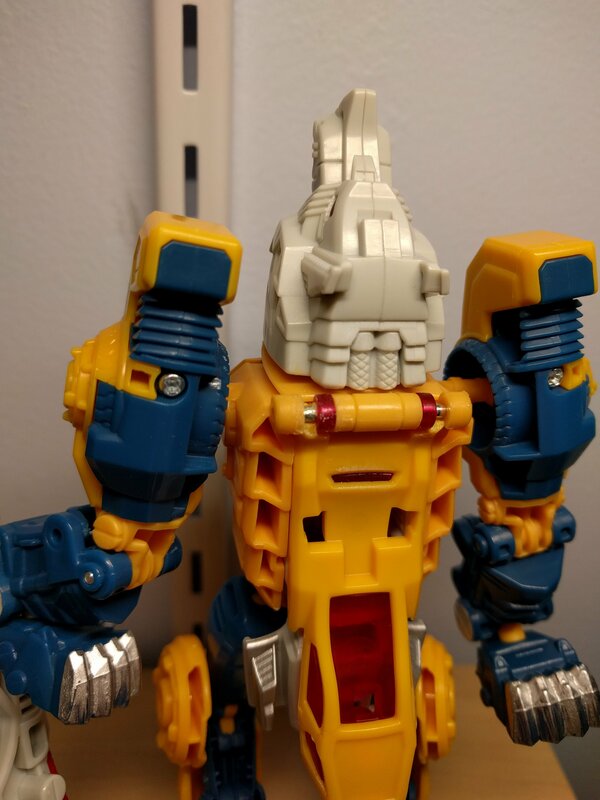 So as someone who is trying to re-kindle their love for Transformers, which toy would you recommend to someone who is not really big on the blocky look of the newer Generations stuff? which toy would you recommend to someone who is not really big on the blocky look of the newer Generations stuff? Wait, so a toy from TF in general or do you just want it to be an out-there Generations toy? Well that depends mostly on you. Budget, favorite characters, and well as originally stated... You. In general, but generations is fine as well. As for budget, no more then fifteen bucks would be great. If you're going for new, I'd recommend Titans Return Blurr or Mindwipe. Look for them at Walmart, usually marked down to $10. They're a LITTLE blocky in parts but are very solid toys.